Kuala Lumpur is a city of delightful contrasts and one of the most vibrant cities in Asia. 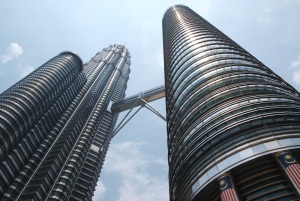 Visitors will be greeted by the stunning Petronas Twin Towers, a world-renowned icon of the country. 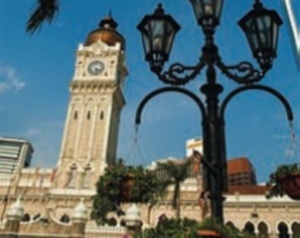 The numerous pre-war heritage buildings reflect Kuala Lumpur’s rich past and stand in charming juxtaposition to the modern ambience. Lush greenery and well-manicured parks lend a refreshing garden appeal to the city. The world's tallest twin towers are not to be missed. The 88-storey twin tower is nearly 452m tall. Designed by Argentinian Architect Cesar Pelli, the twin towers’ floor plan is based on an eight-sided star that echoes arabesque patterns. 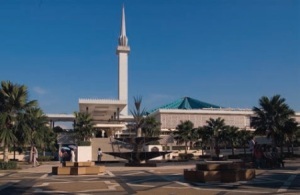 Islamic influences are also evident in each tower’s five pillars of Islam – and in the 63m masts that crown them, calling to mind the minarets of a mosque and the Star of Islam. 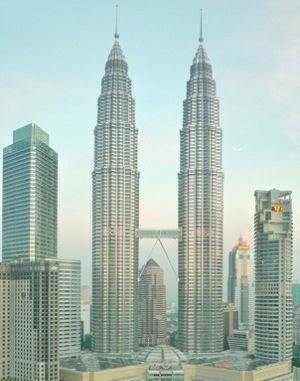 The twin tower is headquarters of the national oil and gas company Petronas. The towers are the centrepiece of the Kuala Lumpur City Centre (KLCC), consisting of the state-of-the-art Kuala Lumpur Convention Centre, Suria KLCC shopping mall, a five-star hotel, the immaculately landscaped KLCC Park as well as a mosque. 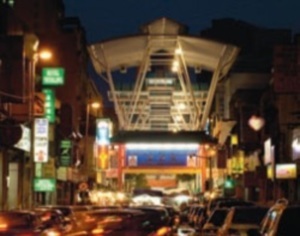 Situated within the prestigious Kuala Lumpur City Centre (KLCC), this popular mall houses six floors of retail outlets. Its impressive tenant mix includes Isetan, Parkson Grand and Marks & Spencer. Aseana and Pucuk Rebung are exclusive outlets offering a remarkable range of unique ethnic-inspired items. Sample the wide variety of cuisine at the Asian Flavours Food Court. Take a break to enjoy the refreshing ambience of the immaculately-landscaped KLCC Park and the spectacular musical fountain display. Level 4, Suria KLCC, Kuala Lumpur City Centre (KLCC) Gain an insight into the petroleum industry in this exciting discovery centre. With 7,000 square metres of exhibit area, visitors will have an enjoyable time with the host of interactive displays, dioramas and activities. Travel in an oil-drop shaped vehicle, visit an oil platform or enjoy a thrilling ride in a helicopter simulator. A hand-held computer will help visitors to interact with the exhibits. This gallery is designed with an emphasis on natural geometry and abstract concepts. Its display space of 1135.92 square metres features both traditional and modern artistic expressions. Activities here include art demonstrations, forums and classes. This is a beautifully landscaped park with approximately 1,900 indigenoustrees and palms representing 74 species as well as soothing water features. The park beckons all in the family with a children’s playground, a wading pool and a 1.3km rubberised jogging track. Various murals and sculptures add to its appeal. A delightful attraction here is the Symphony Lake, where two fountains provide 150 colourful and dazzling animations. Among Kuala Lumpur's major landmarks, the 421-meter Kuala Lumpur Tower sits in the middle of the Bukit Nanas Forest Reserve, offering a majestic view of the city. Dining at The Sri Angkasa Revolving Restaurant, and musical and traditional dance performances can be enjoyed at the tower. This splendid building in the heart of the city was the hub for the nation’s rail transportation system before the modern KL Sentral Station was built. Its Moorish architecture with graceful arches and minarets makes it one of the city’s most photographed landmarks. Equally impressive is the Malayan Railway (KTM) Headquarters overlooking the railway station. Bargains galore! Shopping at Petaling Street is fun as haggling is the main order of business. There’s always a good bargain to be had here. KL’s Chinatown is a bustling and colourful street of shops, restaurants and hawker stalls. Its popular night market is a daily feature. This is a good place to purchase Chinese artefacts and bric-a-brac. Other interesting items include herbs for traditional remedies and fresh flowers. Shops here stock a variety of textiles, clothes, watches, shoes and handbags. Petaling Street is also known for its jewellery shops with their fascinating variety of beautifully crafted gold items set with priceless gemstones. Aside from the popular shopping district of Petaling Street, the nearby buildings, clan houses and temples contain evidences of the city’s built heritage. Among them are the Lee Rubber Building, Kwong Siew Association, Old High Street Police Station, Police Sikh Temple, Old China Café, Old Victoria Institution and Sri Maha Mariamman Temple. This building, designed by architect and engineer TY Lee, is a fine example of Art Deco styles of the 1930s. Central Market used to be the town’s wholesale and retail wet market for fresh produce. It was renovated and reopened in 1986, and it was the first example of a heritage building being adapted for a different use. It is now a leading crafts centre in the city. 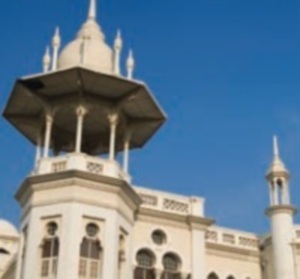 This remarkable edifice, built in 1897, was named after the State Ruler and served as the government administration building during the British era. Boasting a Mahometan or Neo-Saracenic style, the building is constructed entirely of brick. 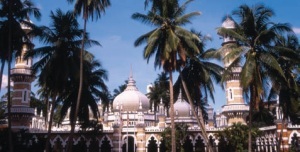 It was the largest building of its day and was said to be the finest in the Malay states. The stately structure consists of an imposing porch, graceful horseshoe-shaped arches, shiny copper domes and a 41.2-metre-high clock tower. It now houses the Malaysian Supreme and High Courts as well as a handicraft centre. The building makes an impressive landmark when illuminated at night. Among other heritage sites in this zone are the Jamek Mosque and Cathedral of Saint Mary the Virgin, as well as the National History Museum. This historic site saw the birth of Malaysia on 31 August 1957. It was at this square that the Union Jack was lowered and the Malayan flag hoisted, signaling Malaysia's independence as a nation. Hence the name Merdeka, which means “Independence” in Malay. 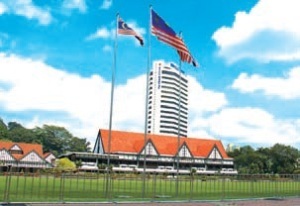 A 100-metre-high flagpole, reputedly the tallest in the world, proudly flies the Malaysian flag. The Square used to be the focal point of Kuala Lumpur and the field here was the venue for police parades and cricket matches. Today, it is a beautifully landscaped area with gardens, terraces and fountains and a popular spot for photography. Merdeka Square is still an important venue for national events such as National Day celebrations and street parades.Surrounding the Square are many buildings of historical interest such as the Sultan Abdul Samad Building, the Tudor-style Royal Selangor Club, National History Museum, Memorial Library and St Mary's Cathedral, a gothic-style church. KL’s ‘Little India’, teems with a colourful hotch-potch of people and products. The pre-war shophouses sell a profusion of authentic Indian items such as traditional costumes in vibrant hues, Indian delicacies as well as beautifully crafted ornaments and accessories. Nearby, street vendors sell therapeutic massage oils, herbs and roots. Locals flock here for Malay traditional attires and headgear. Lebuh Ampang, situated in the vicinity, is a bustling street with peddlers offering jasmine garlands, aromatic incenses, spices and exotic fragrances. Just minutes away from Masjid India is Masjid Jamek. while a 70-feet dome surmounts the prayer hall. Masjid Jamek was thecity’s principal mosque until the opening of the National Mosque in 1965. Masjid Negara or the National Mosque is the most distinguished mosque in Kuala Lumpur. It has a unique stylised, star-shaped dome representing the 13 states of Malaysia and the five pillars of Islam. Its 73-metre-high minaret stands impressively against the skyline. A praying area of 1,432 sq metres can accommodate up to 8,000 people. Within its beautifully landscaped grounds are pools and fountains. Visitors are required to be appropriately dressed while visiting the mosque. Robes and headscarves will be provided for ladies. Enjoy verdant greenery in this refreshing enclave in the middle of a bustling city. KL Lake Gardens is the city’s premier park, sprawling over 200 acres. Built around two lakes, this tropical garden has vistas of exotic blooms, luxuriant foliage, imposing sculptures, majestic raintrees and creative theme parks. Its jogging and walking trails provide refreshing recreation amidst pleasant surroundings. KL Lake Gardens and its environs is home to the Orchid & Hibiscus Garden, Deer Park, KL Butterfly Park and KL Bird Park. Admire 800 varieties of rare and exotic orchids here. Visitors can buy their favourite varieties at the Orchid Bazaar held weekly on Sundays. The adjacent Hibiscus Garden showcases an assortment of the colourful blooms, known locally as the Bunga Raya, Malaysia’s national flower. Sprawled over two hectares of undulating terrain, this area with shady trees, trickling streams and ponds is home to spotted deer from Holland. Enjoy feeding these gentle creatures and keep a look out for the endearing Sang Kancil, the wily mouse deer of ancient folklore. Marvel at more than 6,000 butterflies consisting of over 120 species. The park recreates the natural habitat of the butterfly, with a vast variety of exotic plants and multi-hued blooms. Stroll along to take a closer look at the various colours and sizes of these delicate creatures. Special attractions include the huge Raja Brooke, Iswara, Malay Lacewing, Five Bar Swordtail, Yellow Tip, Indian Leaf and Lime Butterfly species. Housed within the park are a butterfly nursery and breeding area, insect museum and souvenir shop. Reputed to have the largest free-flight walk-in aviary in the world, this park is home to 3000 or more splendidly colored birds of 200 local and foreign species. Located within the Lake Gardens; this brilliantly landscaped, semi-natural 21-acre park houses exotic and amazing birds such as the Bird of Paradise, Changeable Hawk Eagle, Rhinoceros Hornbill and more. After your visit, enjoy a delicious meal at the Hornbill Restaurant, built in the style of a traditional Malay house. Malaysia’s premier museum located on the fringe of the KL Lake Gardens serves as a repository for the nation’s rich history and heritage. 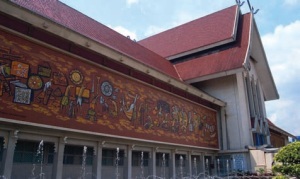 Built in 1963, its façade features a Minangkabaustyled roof and two impressive front murals. Trace the nation’s development over the decades in its four main galleries: Culture, Faces of Malaysia, Natural History and Weaponry, Traditional Musical Instruments & Ceramics. Among the highlights here are the collection of keris or the Malay dagger, ceramics from the Ming Dynasty and traditional musical instruments from various parts of Asia. Outdoor displays include vintage cars, an old steam locomotive and a replica of an old Malay palace. Thematic exhibitions are held from time to time.